Bundles Galore for Debbie Mumford! Bundles Galore for Deb Logan! Welcome to my Time Travel and Paranormal Romance page. Enjoy! When Zach Douglass’ best friend dies in his arms from a psychic trauma, he finds himself devastated and beyond his abilities. He must enlist help to solve the murder. Jenny Murdoch repressed her potent psychic talent for years, believing the tiger that stalks her mind killed her parents. 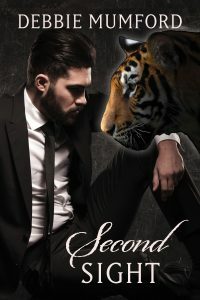 Unwilling to trust that tiger, she must face her own ability and accept her past. Somehow, Zach, a psychic with minimal ability, must work with powerful but untrained Jenny to gain control of her vast powers and discover who murdered his friend. And maybe along the way Zach and Jenny can find each other. A riveting paranormal romance. Impossible to put down. Cat Logan, a young American with a recent degree in medieval literature, travels to Scotland to discover her roots. She finds more than she bargained for when a mysterious silver casket (rumored to hold the desiccated heart of a long dead Scottish laird) transports her back in time to the 1400s and the man whose heart she holds in her hands. New Release for Deb Logan! My Kickstarter campaign is live!